Economy linear rail guides and blocks have very low price and reasonable quality. They are suitable for less demanding applications and are interchangeable with Hiwin HGH and HGW blocks and HGR rails. Linear block and rails are made in C-normal quality class and have Z0-zero to light preload. 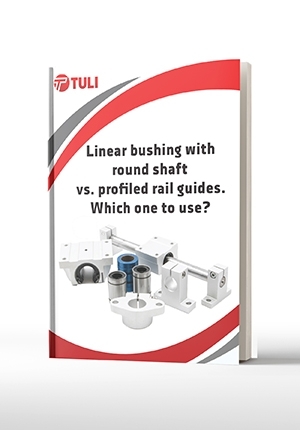 Linear bushing with round shaft vs. profiled rail guides. Which one to use?